Sarah has been teaching and directing children’s musical theatre locally for over 10 years. She has performed professionally and with local community theatre for over 20 years; in shows such as Brigadoon, The Wizard of Oz, and Mary Poppins, to name just a few. She has directed children in Disney’s The Little Mermaid Jr, Alice in Wonderland Jr, and Madagascar Jr. Sarah has studied vocal performance in San Francisco, New York as well as Chicago, where she was mentored by Metropolitan Opera star Susanne Mentzer. Sarah also performed with the Aspen Opera Center for two years, being one of the youngest sopranos ever accepted into the program. During this time she was personally coached by both Richard Bado of the Houston Grand Opera and Gayletha Nichols, director of the Metropolitan Opera’s National Council Auditions. Sarah has earned a Bachelor of Arts Degree in Vocal Performance from Humboldt State University and is happy to be giving back to the community by teaching musical theatre and voice to the children of Humboldt County. In her spare time, Sarah runs a private studio, offering private voice lessons to students age 10-18. Please contact Sarah directly at superirish@gmail.com for more information on private lessons. Shelly has been dancing most of her life, but started her formal training in 2006. She has earned a Bachelor of Science degree in Kinesiology with a minor in dance. Her focus in dance is musical theatre jazz, contemporary jazz, classical ballet, and occasional tap. 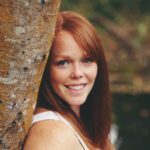 She has been a Company Dancer at North Coast Dance for 7 years and has been teaching and choreographing for children in Humboldt for the past 4 years. Her favorite works so far include “The Little Mermaid, Jr” and a medley she choreographed for Allstars performing at Disneyland. As a performer, you might have seen her as “Rose Queen”, “Arabian” and “Spanish Princess” in the Nutcracker, “The Wicked Witch of the West” in the Wizard of Oz Ballet, “The Genie” in Aladdin the Ballet, and “Beast” in Beauty and the Beast Ballet. She has also performed in many musical productions in the area at the Arkley Center and Van Duzer Theater. She has been acknowledged for her choreographic triumphs and has been awarded multiple titles for performances in dance competitions. Shelly has always had a special place in her heart for musical theatre and has grown to love choreographing for kids and helping to put together large productions. Hannah grew up in Humboldt County and began performing at the age of 4. She spent 18 years studying vocal performance, dance, and musical theater with HLOC and Ferndale Repertory Theater; and has performed leading roles including Peter in Peter Pan, Hellen Keller in The Miracle Worker, and Princess Fiona in Shrek the Musical. Hannah took her first Tap class while attending Humboldt State University in 2006. She quickly fell in love with the rhythm, musicality, and art of Tap and hasn’t looked back. Since taking that first class, she has studied intensively with Melissa Hinz and has attended Miller & Ben’s Big Apple Tap Festivals in San Francisco. Hannah is the primary tap instructor for Ferndale Dance Company. Briana Turnbull specializes in jazz, tap, ballet, hip-hop, and musical theater. She started dancing and performing at the age of 3. She trained at Redwood Raks dance studio for 7 years, with Humboldt Light Opera Company and HLOC’s KidCo under the direction of Sarah van Dissel for 9 years, and No Limits Dance Academy under the direction of Stacy Atkins-Salazar for the past 3 years. 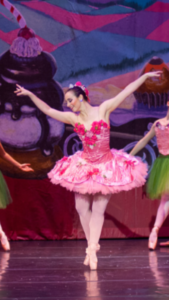 She has performed as a dancer a numerous full productions and recitals such as Sleeping Beauty, Shrek the Musical, Mary Poppins and the Humboldt county winter tradition, Candy Cane Lane. She has played roles such as Ursula in the Little Mermaid Jr, Grace Farrell in Annie Jr, and Troy Bolten in High School Musical Jr and will soon be seen as Cinderella in Allstar Theatre Arts’ production of Into the Woods, a production she is also choreographing. She competed at the Spotlight Dance Competition in Santa Clara, CA for the past 2 years. She had the honor of working with the nations most respected coaches and choreographers through Disney Performing Arts for 2 summers. This past summer, she performed at Disneyland for the second time. Bri is excited to be taking her teaching and choreography to a new level and can’t wait to pass her knowledge on to a brand new group of young singer-dancers. Maryn began dancing at Ferndale Dance Academy at the age of 5. She began attending annual dance conventions in San Francisco and Santa Clara at the age of 9, competing at the age of 12, and assisting classes at the age of 14. Her first leading role with Ferndale Dance Academy was at age 9 as Maxine in “Wild Thang”, an adaptation of “Where the Wild Things Are”. Since then, she has performed annually in Ferndale Dance Academy’s Performances. She has danced as “Edmund” in The Lion, the Witch, and the Wardrobe, “Glinda the Good Witch” in The Wizard of Oz., “La Marionnette” in La Marionnette, the “Fairy Godmother” in Cinderella, and “Genevieve” in Mary Poppins. She has also performed in 555 Contemporary’s adaptation of “The Nightmare Before Christmas”. Maryn has choreographed for “Free The Beasts” 2017, and Ferndale Dance Academy’s winter performances; her first being at age 10. She has taken classes from choreographers such as; Tony Bellissimo from “Step Up 3D”, Marty Dew from “Bring It On: All or Nothing”, Nick Lazzarini, the season 1 winner of “So You Think You Can Dance”, Teddy Forance from “Dancing With the Stars”, Mia Michaels, a contemporary choreographer for “So You Think You Can Dance”, Kalani Hilliker, Kendall Vertes, and Chloe Lukasiak from the hit Lifetime show “Dance Moms”, and Chloe Arnold, the Co-Founder of Chloe & Maud Productions DC Tap Festival. She has also completed summer intensives at Nor Cal Dance Arts in San Jose as well as North Coast Dance. In solo competition, Maryn has won “High Gold” at the JUMP! Dance Convention, earning Ferndale Dance Academy’s highest competition score to date, as well as “Gold” at New York City Dance Alliance, and second place at the Tremaine Dance Convention. 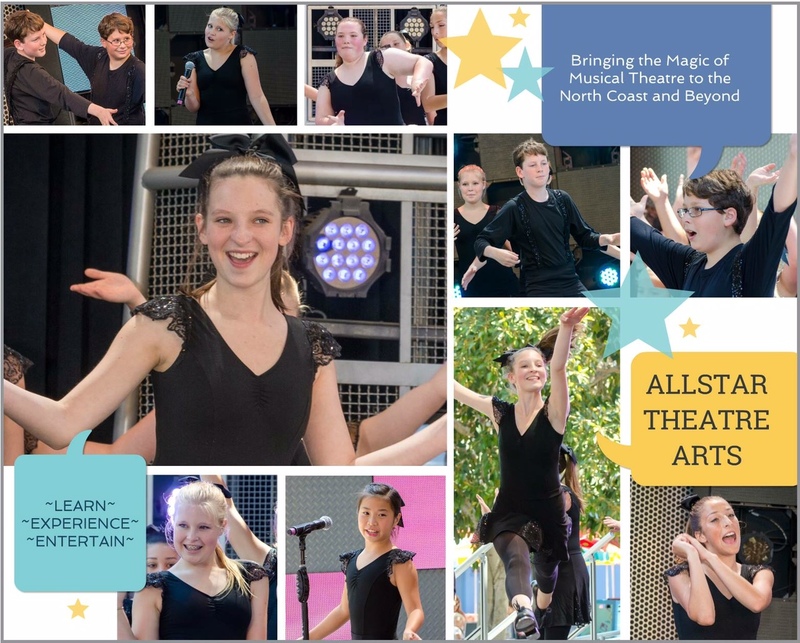 She also performed at Disneyland with Allstar Theatre Arts in the summer of 2018. 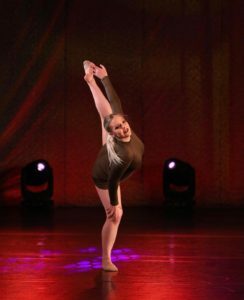 Maryn has won numerous studio awards such as: Spotlight Dancer of the Year 2014, 2016, and 2018, Level III Student of the Year 2015 and 2017, and Spotlight Dancer of the Year 2016 and 2018. Allstar Theatre Arts is proud to be an independent Dreammaker project of the Ink People.